Hello everyone, Leah here with some fun and happy inspirations for you today using the rubber stamp image "For the Birds". 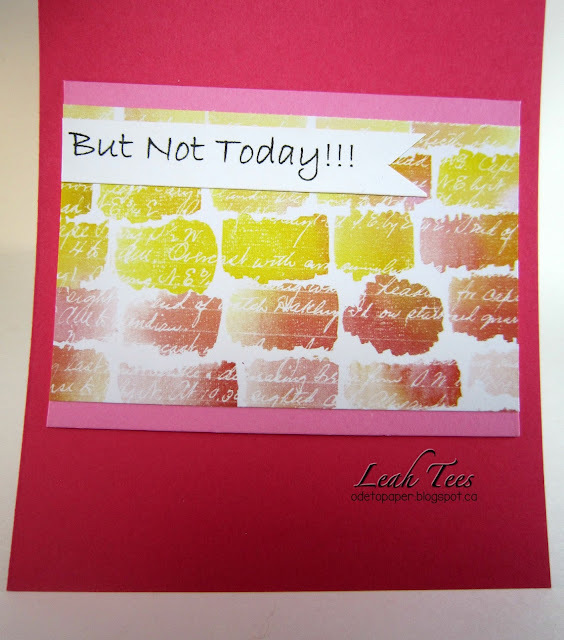 I made a happy card for a great day with some cheery pinks and oranges and yellows. This image can be used for many great things, and I chose to make this a sort of congratulations card lol. You can find this rubber stamp image called "For the Birds" in the Sweet Stamps online shop. Don't forget to come and join in our monthly challenges (there are two!) over on the Sweet Stamps challenge blog. See you soon! Great card- love the bright cheery colors. 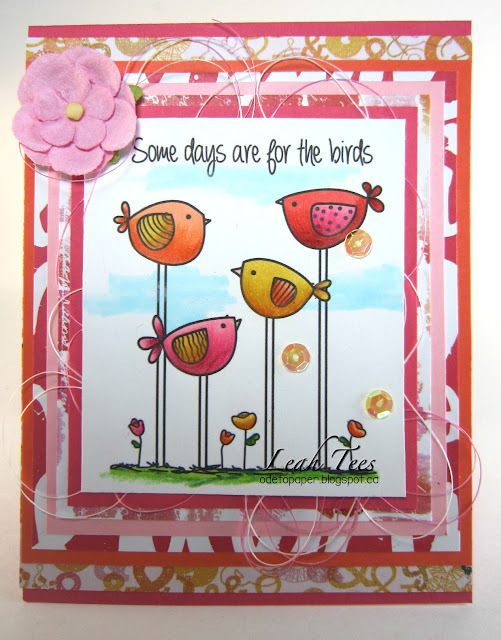 Sweet card, love the brightly colored birds and the background. Wonderful layers too!! So cheery! Love the colors and patterns! Fabulous cards! Love the bright colors and fun designs!